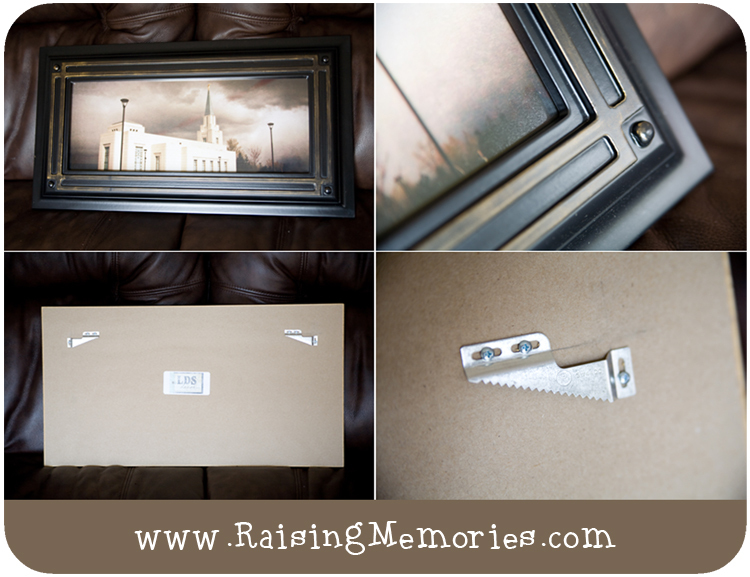 LDS Decor is a family owned company that produces gallery quality art, frames and other decor items for those of the LDS faith, at wholesale prices. I hadn't heard of them before, but I was happy to get an email from them and to find their website! They offer free shipping, and they are now offering jewellery too! I've showed the temple picture to several people and one thing that came up a couple of times was that people didn't love the crop of this picture (because it cuts the bottom of the temple off) and didn't love the sky because they felt it was a little ominous (not the look they'd want for a temple photo). These are of course personal opinions, and there really are a ton of pictures to choose from on the site. I noticed a trend toward the sepia/brown/weathered look on many of the pictures, but they aren't all that way. 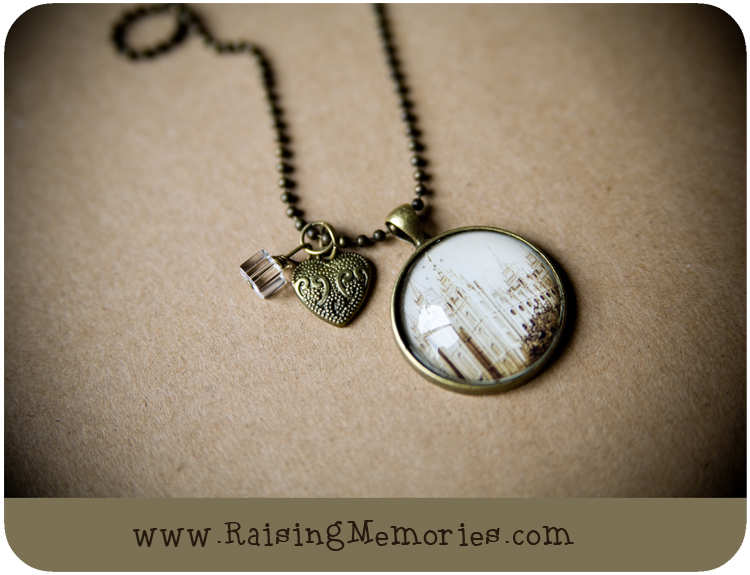 It is gorgeous, I love the little decorative charms that come with it, and by the way, this is what LDS Decor is having me give away to one of you! I agree with the cropping being a bit off. I tend to love black and white pics though. And the jeweley is just plain cute! I like the jewellery too. My favourite framed temple picture is the Salt Lake City one, Snowy # 458. It is very soft looking. I really like the jewellery too. Very Cute. My favourite temple picture is the Salt Lake City one, Snowy # 458. It is soft looking. Beautiful. I'm sure they didn't mean for this to happen, but.....I just got a new calling on the RS Activity Committee so this is all great inspiration for projects! These are beautiful! I love the Salt Lake Temple Spires! Just lovely! I love the painting of the Savior, It's Beautiful! I LOVE the Idaho Falls temple at dusk picture! We've been wanting a nice picture of "our" temple which is Cardston. My favorites are 486 and 422. I love that they do more than the "typical" temple pictures. Thanks for the giveaway! I love the temple pictures and the wood carved woods. Lovely site.